Can you afford to live on half your salary in today’s terms? Or even 40% in today’s terms? The reason for this is that the stock market has not performed as expected. Annuity rates have declined due to people living longer and the situation is only going to get worse with the increasing quality of health care. 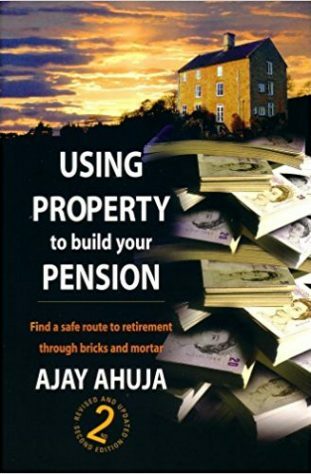 The funny thing is that even though I invested in property initially to provide me with a retirement income, I found that my property income was in excess of my salary so I retired at age 27! Now I own a portfolio of 75 properties that will earn me an income now, in to retirement and beyond. When you contribute to a pension fund you are investing in to a business (by way of shares) that you have no control of. If the managing director decides to go on a mad shopping spree and bleed the company dry you have no recourse. Okay, the director may go to jail but you won’t get your money back. Just have a look at some of the high profile cases – WorldCom, Enron etc. These are the ones that hit the press. There are companies that you probably won’t of heard of that a pension fund company invest in that may have suffered the same problems but on a smaller scale. Property is something you do have control of. It yours! You don’t own a piece of paper called a share certificate. You own something you can see, touch and do with whatever pleases you. But simply owning property is not your route to retirement bliss. You need to know how to exploit the opportunities that ownership brings. The difference between property and any other investment is the ability to borrow. You can borrow to purchase the property and let the tenant pay your interest payments by way of rent, hence it’s a self-funding investment. Now you can borrow to buy shares but the dividends receivable are rarely sufficient to cover the loan repayments. Also the maximum any bank will lend to you will be up to 50% of the value of the shares and the interest rate is much higher than a typical mortgage because shares are riskier than property. This begs the question - if shares are riskier than property why do people invest in shares rather than property? We are lazy! Its easier to simply pay over some money and let someone else do the hard work. Other people do! We act like sheep sometimes and follow the crowd. If others are doing it we’ll do it too. We are too trusting of these big pension companies. We fall for their mock caring TV adverts, glossy spreads in the national newspapers and magazines and impressive head offices and branches. So its time to take up the profession of becoming a landlord and start enjoying the rewards that have been enjoyed by the middle class for centuries - its time to build that property pension! I wish you the best of luck with your future property purchases.